Want to see the first-ever sanctioned female MMA fight in New Jersey? Well, then look no further, 'cause here it is: Laura D'Auguste of Team Tiger Schulmann versus Shannon Logan on Team Renzo Gracie, which took place at Reality Fighting 2 back in 2002. 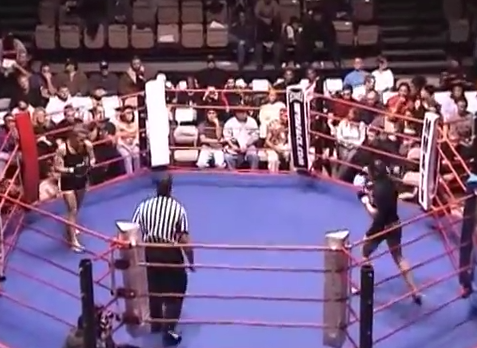 I don't think this video captures how crazy the crowd got over see these two women scrap. They went absolutely went nuts. The trip down memory lane continues with another bout from Reality Fighting 2 - this one featuring future UFC, Strikeforce and Sengoku competitor taking on local badass Jose Rodriguez. Worth noting: the eight-sided ring Reality Fighting employed. Why? Why would they do that? You know a fight is super old school when one of the competitors does a headbutt and legitimately doesn't know they're against the rules. Such is the case with this throwback video from Reality Fighting 2 (might as well keep with today's theme, right? ), which features Tiger Schulmann fighter Elvis Garcia taking on Brad Daddis. God, we were so young and innocent back in 2002, weren't we? Big thanks to Tom Kilkenny, who had me on as a guest on his EastCoast MMA Internet radio show on Tuesday night. 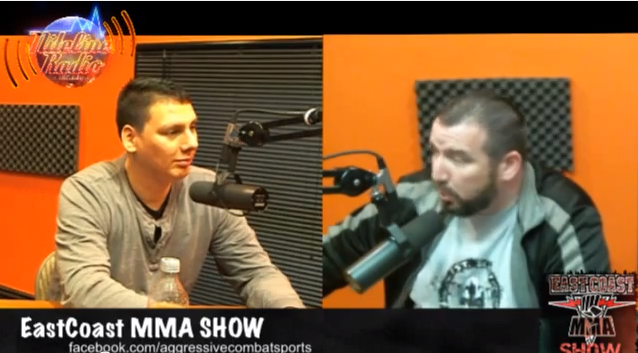 I got to rap about about New York MMA and reminisce a bit with fellow guests Jerry Mendez and Chike Obi.